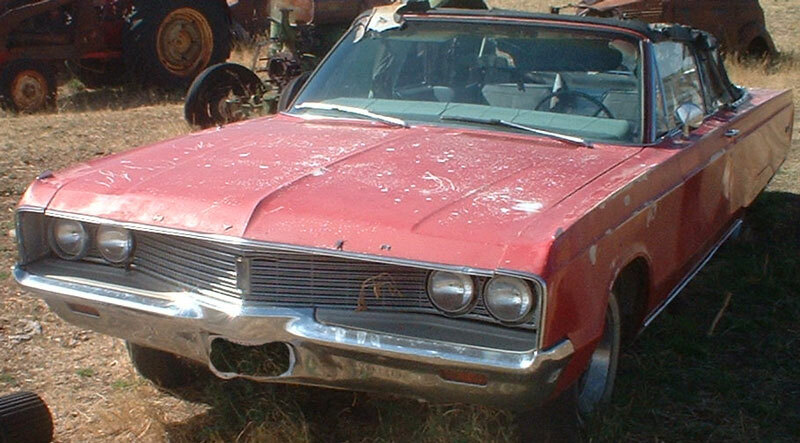 This red 1967 Chrysler Newport Series Model CC1-E convertible is a nice, solid, complete classic car ready to be restored. Only 2,891 of these 67 Newport convertibles were made. The black top is all there but the fabric has deteriorated. Some of the hood letters are missing. The right quarter panel is damaged and the lower trim is dented and bent. The right rocker trim is missing. The rest of the body has good, straight, solid Montana sheet metal. The grill and bumpers are good. All the glass is good. The car has custom spoke wheels. 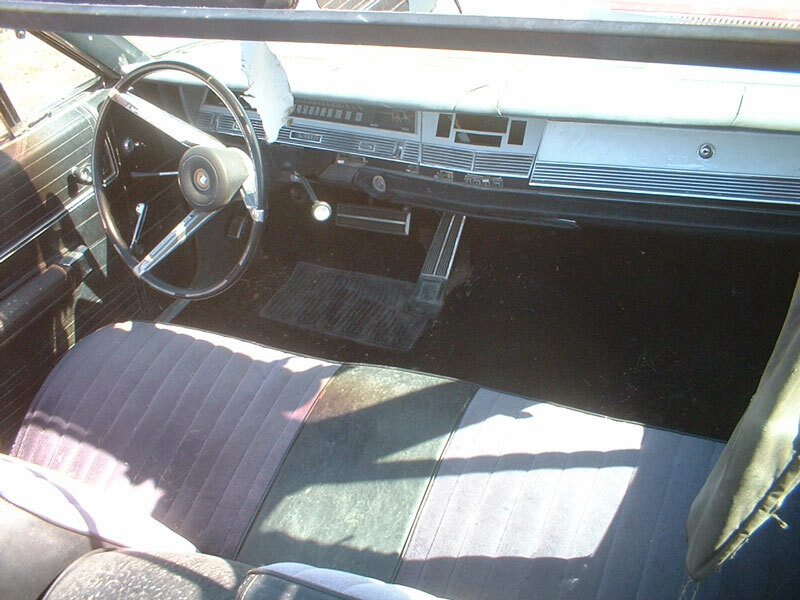 The black and red interior is all there except the radio is missing. The floors are solid. The 383 CID 270 HP V-8 and automatic transmission are all there. The car was running and driving when it was parked a few years ago. The current running condition is unknown and it would likely need fuel and brake system servicing to be put back on the road. 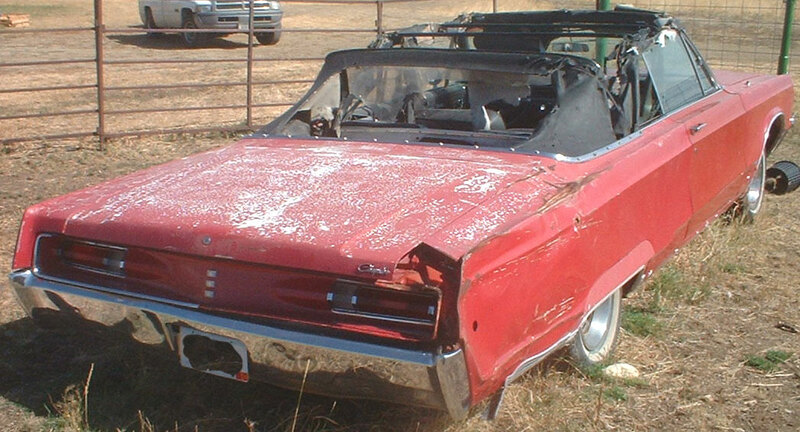 Here is your chance to restore a desirable 67 Newport convertible Please call (406) 318-0270 for details about this restorable classic project car.